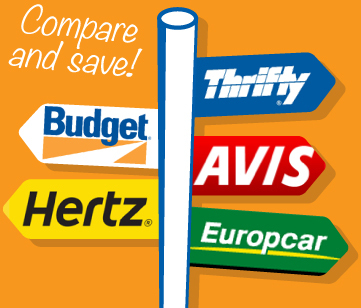 Find cheap car rental from Europcar, Avis, Budget, Hertz and Thrifty in Hobart. Compare car hire rates in Hobart, Australia. Hobart, capital of Tasmania and family home of Princess Mary of Denmark, is without doubt one of Australia's prettiest cities. Sitting on the banks of the Derwent River, Hobart is well known as the finishing point for the Sydney-to-Hobart Yacht Race. DIY finds the cheapest car hire & car rental in Hobart and offers deals on a range of vehicles at airport and city locations. This means that you can book discount car hire anytime anywhere with DIY Car Hire. Hobart Car Rental has never been so cheap! DIY Car Hire offers great rates on car rental in Hobart. Hire or rent a 4wd in Hobart. Book cheap rental cars in Hobart. Get the best rates on Europcar Hobart, Budget Car Rental Hobart, Thrifty Car Hire Hobart, Avis Car Hire Hobart, Hertz Car Rental Hobart. Car rental Australia and Car Hire Australia.